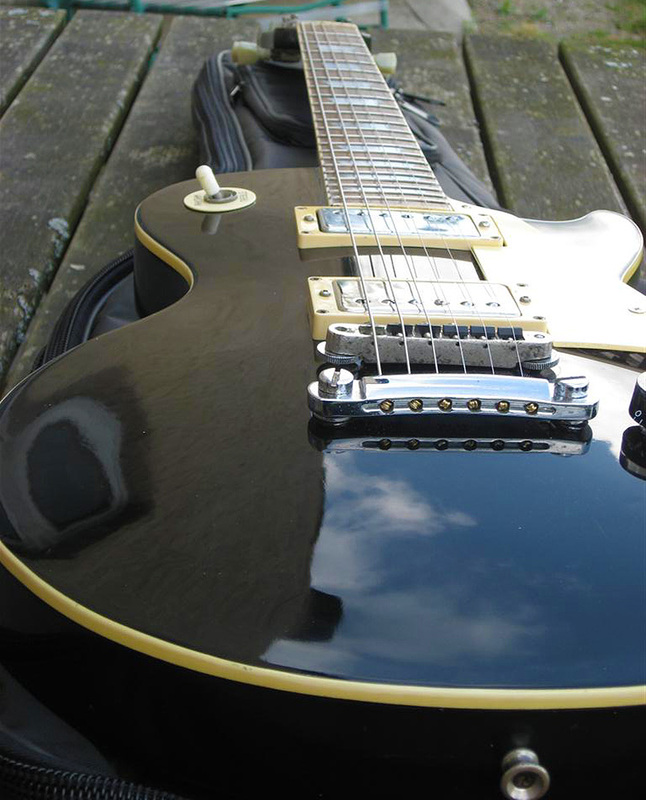 1978 Greco EG800 Black Beauty Les Paul – Made in Japan. 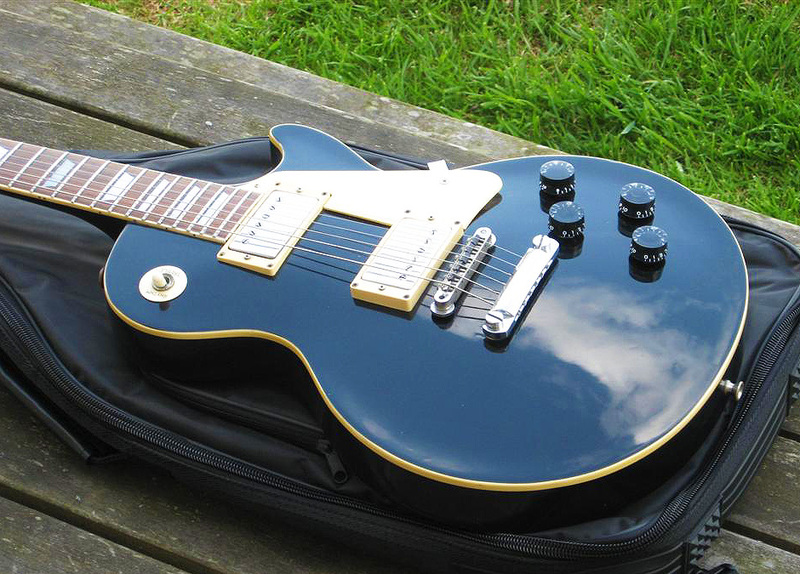 From my all time favourite Japanese manufacturer: a 1978 Greco EG800 Les Paul. 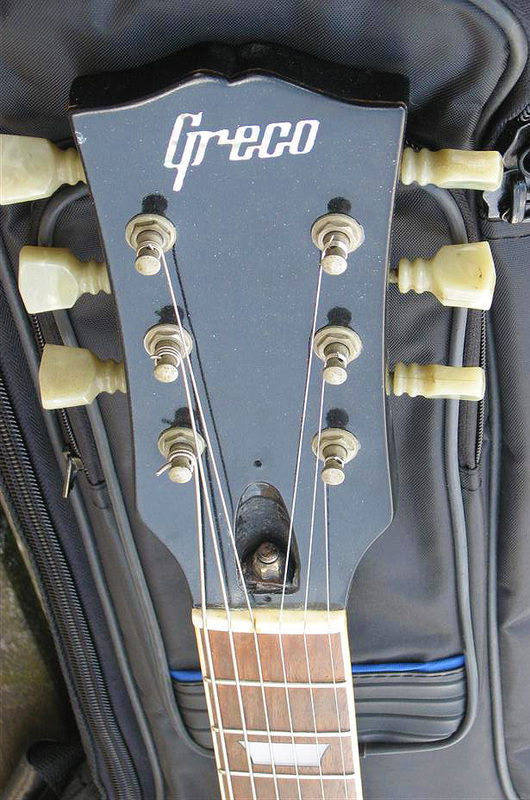 Greco guitars began in 1960. They are an original brand by the Kanda Shokai Corporation in Japan. By the late 70’s they were producing a large range of high quality guitars and basses. 1979 saw the introduction of the ‘Super Real’ series and soon after this the ‘Mint Collection’ series began. The high end 1979 to 1982 ‘Super Real’ models are IMHO the best Les Pauls ever built. Some of the higher end models of these series featured the renowned ‘Dry Z’ and ‘Dry 82’ pickups and the fabled long-tenon neck joint. In 1982 Kanda Shokai stopped production of their Greco Fender style guitars, as they began the Fender Japan contract. 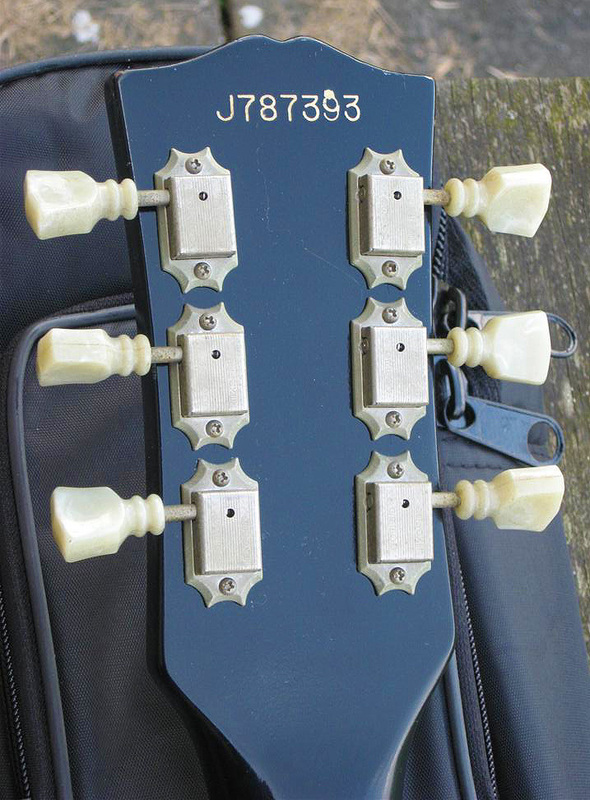 Greco guitars have been made at several Japanese factories since the 60’s, as well as having some models made in Korea. They are still in production today. 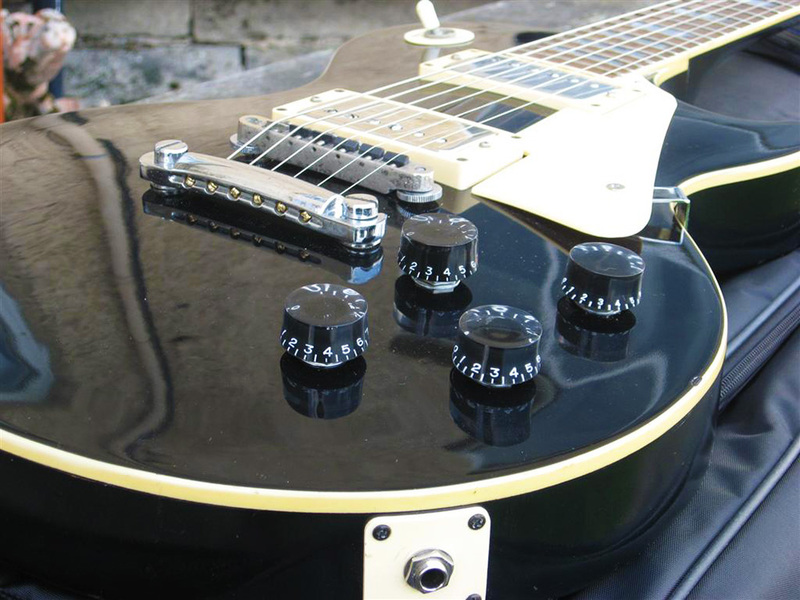 The current series is the Greco Zemaitis brand, made under license from Zemaitis guitars. ← 1970s Suzuki Nagoya 1664 Cedar Top Classical Guitar.